In my last bra post, I said I needed to get up to five new bras this year. Well, I’m just about there now with the addition of these two bras. Both are made from the Rebecca pattern by Sewy (a German company) and kits from Summerset on Etsy. I did try this brown combo once before in a too small size. The brown lace is from Etsy and the white lace with yellow accents from dear Hilde when I went to Amsterdam two years ago. What’s different about these two bras? I’ve finally conquered the scalloped band that I’ve dreamt of using guidance from Sigrd’s blog. On the yellow version, I just did the bridge with a scallop. Not a mirror image. The lace only came in one direction. On the brown, the entire front underband has the scallop. Hmm, I should have used brown thread on the lace bits, eh? 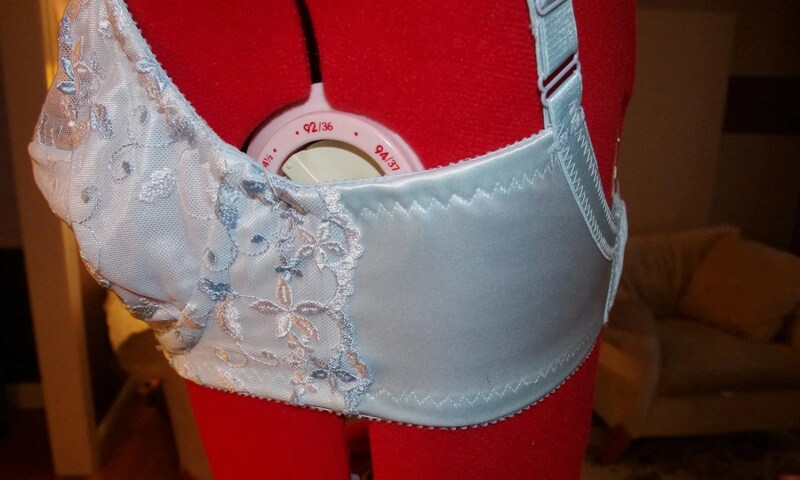 Something else I’m doing different with my bras is using this super narrow elastic from etsy when I reinforce the upper cup instead of clear elastic. I think it’s 1/8 inch and is also sold as elastic for ‘baby headbands’. 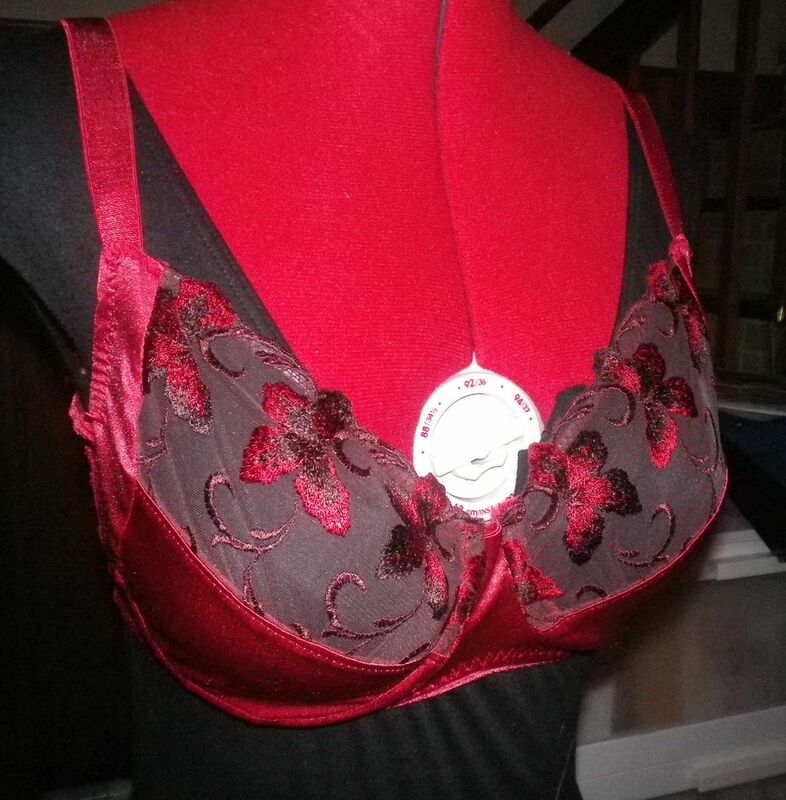 The other thing with my bras (and why I like to sew my own) is that I have an extremely narrow bridge. You can see in these photos below that my underwire casing actually overlap (double click to enlarge). I’m very very pleased with these two bras. What’s next for me and bras? 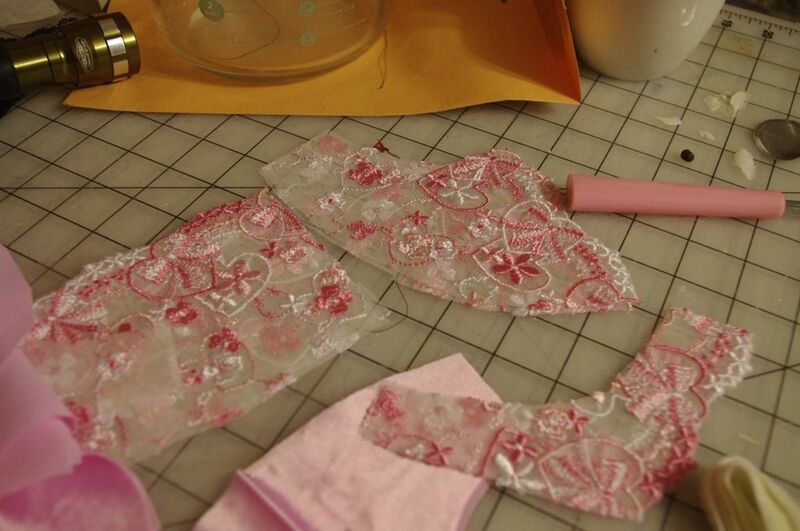 I have one more cut out in pink from Etsy lace. And two more kits waiting in the wings. My new goal is to get two week’s work of bras (worn twice each). Thanks for all the tips and advice regarding the sheer interfacing (known to me as ‘tulle’ via Sigird). Orange Lingerie has a stash of it and kindly offered to send me a bit. So, this year I’ll tackle some more sheer style bras. I’m not a huge fan of the exposed satin in the lower cup. Snags too easily. There may be some clothes coming again from my sewing machine, lol. I’ve been really absorbed at work and can only handle smallish projects now. But, I need a dress for a graduation in May. And, over Memorial Day I’m officiating my second wedding for dear friends of mine. So, I need to get on the stick. So, I’m a month and one holiday too late. I thought I’d get this sewn in time for Valentine’s Day and at least inwardly celebrate the day. But, alas, I lost my mojo. I was lucky it came back in a spurt Friday night after meeting up with Norma of Orange Lingerie who is in town. After picking her brain about her custom lingerie sewing and asking questions about her upcoming book, I couldn’t wait to get home and sew some lingerie. This is my TNT Rebecca Sewy. I cannot get over how pretty my bras are now! I’m still experimenting with the all lace cup. 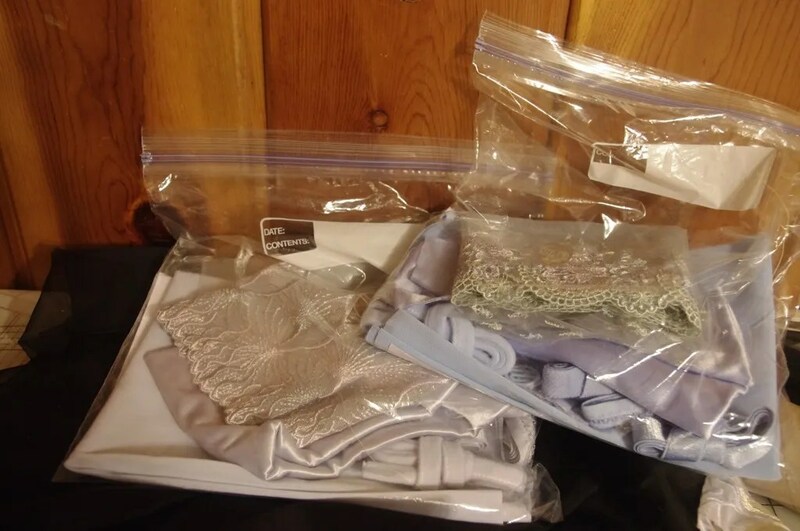 I did ask her about ways I could go more sheer since I’m currently using lace, powernet and lycra in my lower and side cups. I’m going to be working on that sooner or later methinks. I’ve got my next bra already cut out. I’m going to play with some lace placement for interest. Hoepfully, a scalloped bridge. I would like to have five bras in rotation so I can retire my RTW ones that I got a few years ago. So, at least three more bras this year. I’m sure you all heard my scream when Google Reader announced they were closing. I’ve switched to Feedly for my blog reading. I like that I can add blogs with a double click in Safari and Chrome. It imported all my feeds and bookmarks from reader. And I don’t have to sort out what ‘Follow me on Bloglovin’ means.I like that you can chose the format your feeds show up in (this is ‘magazine’). Finally, it syncs across the multitude of mobile devices I read blogs with. It was February last year when I made my last bra. I guess sewing is a bit cyclical isn’t it? What really happens to me is that Sigrid starts posting her incredible creations and I get a crazy itch to try again. My plan was to make like ten pairs of Melissa’s excellent Lacy Thong pattern. 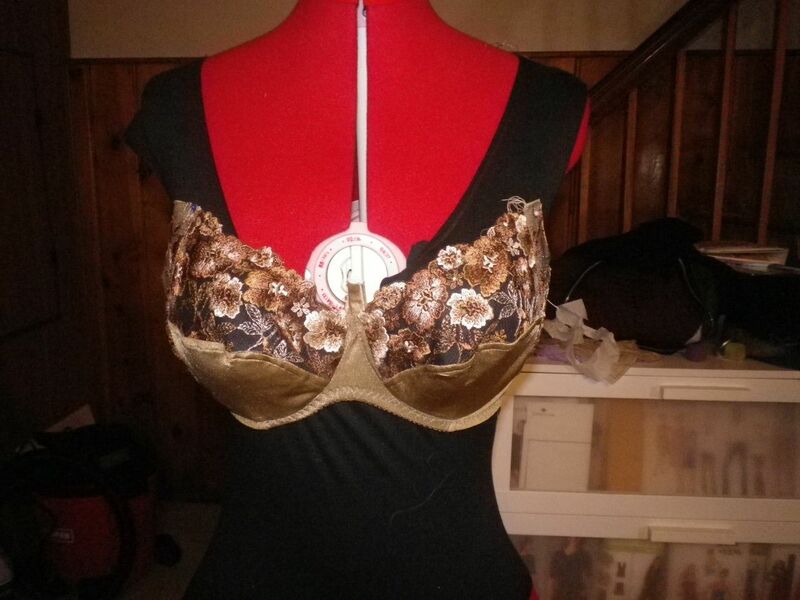 But, I got distracted halfway through and decided I wanted to sew a new bra. 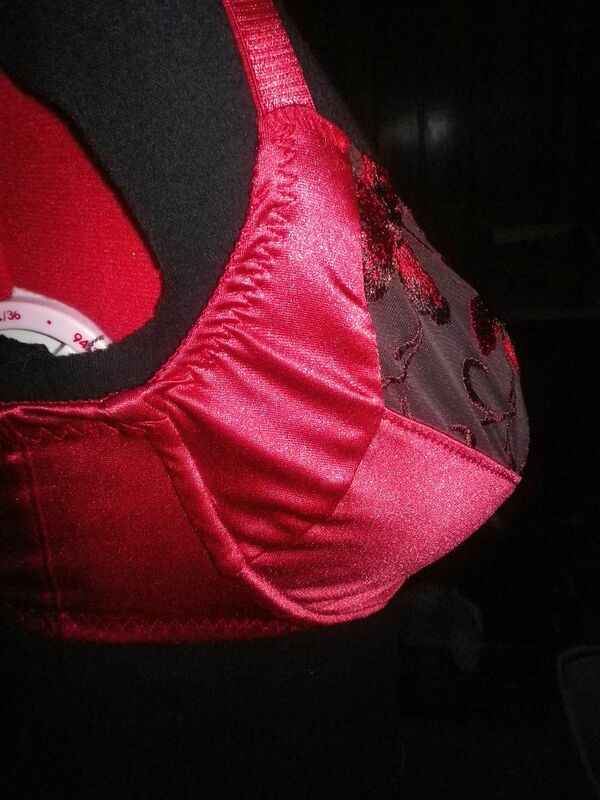 While the bust was about right in my two home sewn bras, I found the elastic in the cup flipping under when worn. It started to annoy me so much that I discarded the red bra and used the silver one on my dress form. 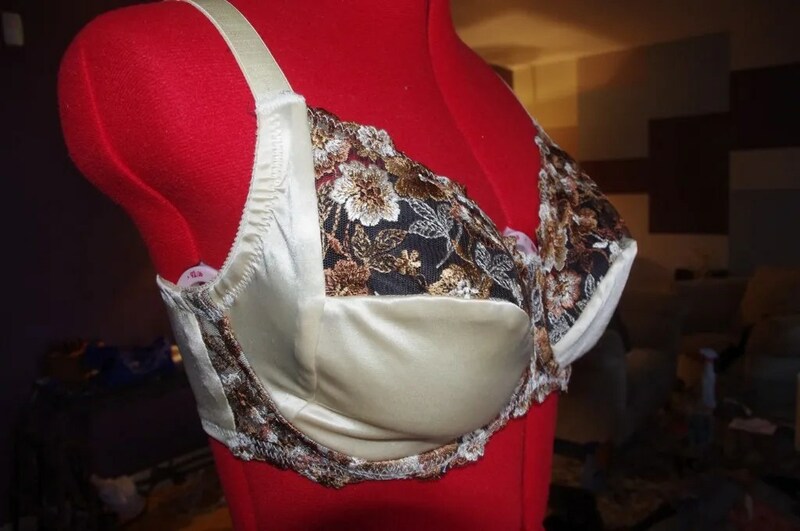 I poured through Sigrid’s tutorials and posts on bra sewing. It finally occurred to me that maybe I needed to sew the channeling so that it flipped outward to be on *top* of the elastic instead of inward and away from the elastic. I dashed off an email to Sigrid with the subject ‘Dumb Question’. Once she responded, I sewed in the channeling correctly (outward) and had my almost perfect bra. This all lace version of the Rebecca Sewy has been cut out for a year now. I went with all lace instead of just the upper cup. The lace is from an Asian market vendor on etsy and the lycra kit is from Summerset also on Etsy. I mean, it’s the gorgeous lace bits that made me want to start sewing my own bras! 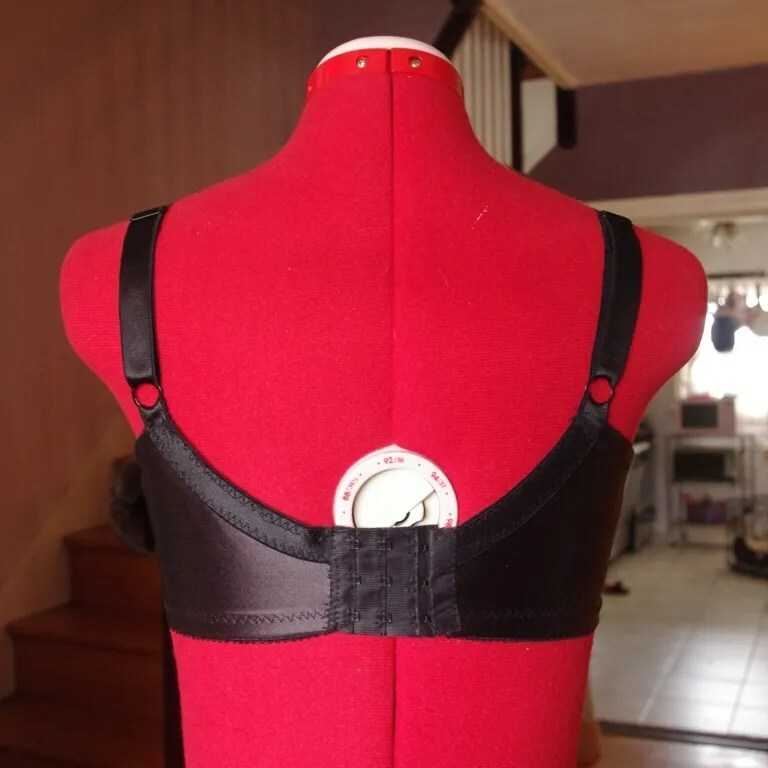 Guys, the elation I felt when I put this bra on and it *fit* in indescribible. The entire time I was sewing it, I thought it was looking too big in the cup. It’s also frought with many little errors. I plan to sew one or two more straight away. My three RTW bras are about three years old and need to be retired soon. 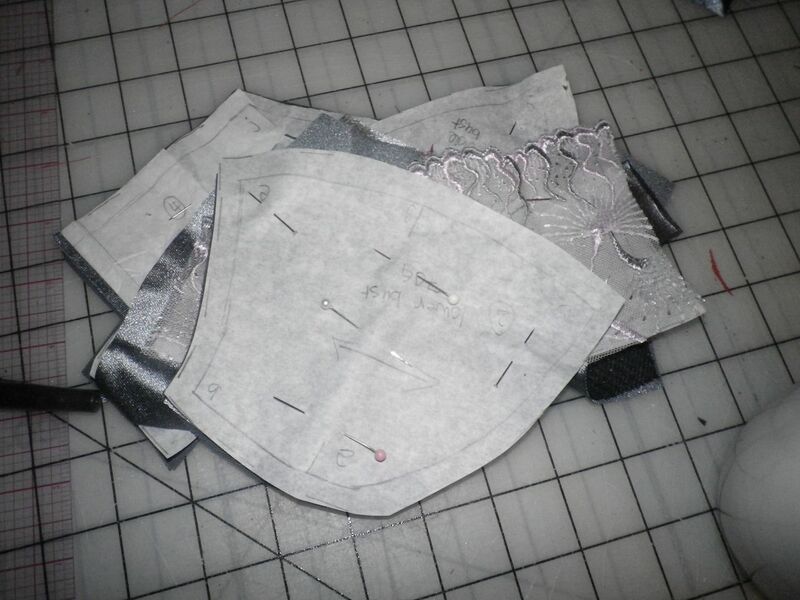 If my next two come out correctly, I will *finally* sew my complete kit from Amsterdam. I’ve been saving this one for when my bras are almost perfect. After all this, I will never begrudge the cost of a RTW bra. Especially one with all lace. Think, there are about five pattern pieces. 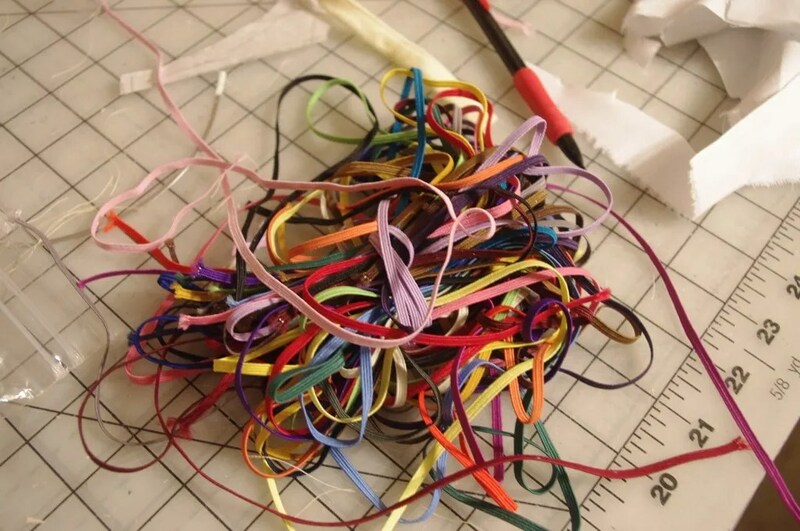 I have them cut from lace, powernet, and lycra. There is a lot of little small seams and details. It’s a lot of work, but so worth the effort!! As hoped, (for once) I did in fact finish this bra before the Ravens win over the Houston Texans on Sunday. It’s so pretty in its non-beigeness that I kind of want to weep from happiness. I’ve been dogged about making these bras since I was financially invested from my Amsterdam trip. That, and my bras are expensive and boring. Soooo boring. Beige and industrial. Blech. I don’t make matching bottoms yet. I have an entire Pinterest board devoted to underpinnings. If I am stingy with lace placement, I can get two sets of bras out of the lace I have from Amsterdam. I mix the lace with Summerset’s kits. It’s one way of making sure that I’m consistently working with similar materials. I’d rather use the extra lace in a year or so and make a second set of bras. And, I’m not proficient with my bottoms yet. So, I’d rather wait until I have that skillset down. I thought I would get a slew of sewing done this weekend. I have three UFOs and desperately need some slips. My current frequent companion is on a ski trip in Colorado this weekend and I kept myself socially uncommitted. But, instead of just sewing, I read. I ran errands. I got my dry cleaning done. I washed my car. I jogged in 30 degree temps. Twice! I stocked up on wine. I watched Merchant Ivory type films with lots of crying, tragic heroines and moody music (and the last two weeks of Downton Abbey, Project Runway All Stars and Brad, Brad World). I made two kinds of frozen deserts (salted caramel ice cream and olive oil gelato). I took down my Christmas tree. I made two batches of Greek yogurt (yogurt maker for Christmas). I went to the Indian grocery store. I cleaned my house. I’m talking the kind of cleaning that I freely admit my house hasn’t seen since we met. Hands and knees scrubbing the kitchen floor cleaning. And, I sewed two $60 bras for a quarter of the price. It was delightful. Seriously. Never taking my free time for granted again. Folks. If you do not learn from your mistakes, you are doomed to repeat them. There was going to be much wailing and gnashing of teeth if my sixth attempt at sewing the Rebecca bra from Sewy didn’t work out for me. I am thrilled to report that wearing sack cloth and sitting in ashes was not needed! This bra fits. Did you hear that? Angels cried with me when I finished this bad boy up. This lace is from my once in a lifetime trip to Kantje Boord in Amsterdam last year. Why oh why did I not purchase a lifetime supply of lace and findings!? Oh. Yes. The crappy exchange rate. I forgot. I must tell you. The road to this bra was not paved in milk and honey. 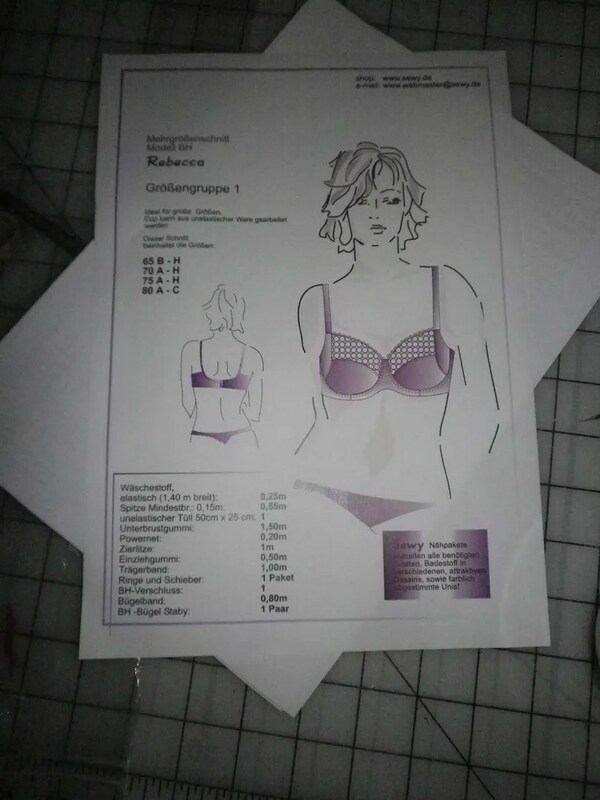 I received a new copy of the Rebecca pattern from Sewy a few short weeks after my posted plea for help. They do ship to the US and they’ve fixed the bug on thier website that wouldn’t let me complete the order. Woo hoo! Anxious to sew a litlle somethin’ somethin’, I traced and cut out a 70F. I used a bra kit from Summerset and lace from Etsy. As I suspected in my last bra post, I did in fact trace and sew the wrong size bra. I made a 70F when I should have started with a 70G. Grrrr. Do you see that? That means I’d sewn the wrong bra size twice now. Twice! Why? Because I didn’t read the notes I wrote here on my very own blog. That made 1 muslin, 1 slightly large bra, 1 huge bra, a teeny bra, and now this small bra. That’s FOUR bras I’d sewn and none are wearable (by me). 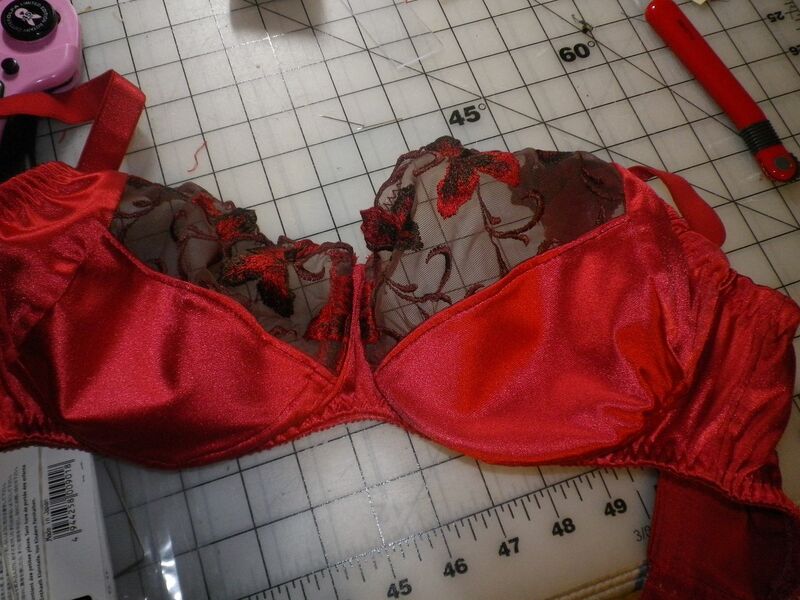 I was *so close* the first time I sewed a bra. But, happily, I got the magic back! The good news is, these are now a breeze to sew. I *love* how they look. I’ve got all the sewing tricks worked out. For me, that means shortened band, downward hike, some curvature out of the bust apex, a wing and a prayer. 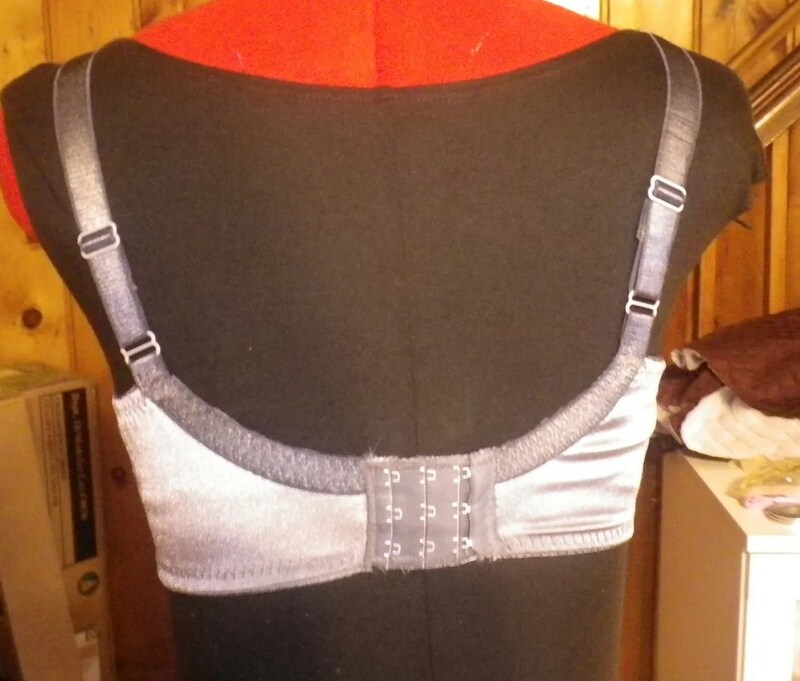 So not to destroy the good bra making vibes, I plan to sew this silver / grey version today before the Ravens playoff game.